On earlier visitor maps, ZEALANDIA`s Lower Dam was referred to as The Lower Lake and the Upper Dam as the Upper Lake. Originally, however, The Lower Dam was named The Lower Reservoir, which was an earth dam completed in 1878. Due to the European settlers wanting farmland, large fires in 1850 and 1860 cleared that area of its broadleaf forest. Some of the valley was farmed uptil 1906, then any remaining catchment area was bought for waterworks. Historically, te reo Māori was an oral language and Matariki (Māori New Year) was a time when knowledge was shared orally, as in reciting whakapapa (family trees). Matariki was also a time when legends were passed on orally. One such legend is about Tāne-mahuta – the guardian spirit of the forest and the god of light. He pushed Rangi-nui (Sky Father) and Papa-tū-ā-nuku (Earth Mother) apart, so that he and his brothers had more light and space. One of Tāne-mahuta’s many brothers was Tāwhiri-mātea, the god of wind and storms. Tāwhiri-mātea was angry about his parents being forcibly separated and cried seven tears that became the seven stars of Matariki. Do you know your tutu from your supplejack? 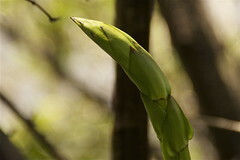 You’d be wise not to eat any asparagus-like shoots in the bush if you’re not sure! In 2014 tramper Matthew Pike found this out the hard way after adding what he thought was a supplejack sapling to his boil-up, only to find – when he woke up in hospital – that he’d seasoned his dinner with the notorious tutu: a poisonous plant full of the neurotoxin tutin. Matthew’s reaction was so severe that his convulsions dislocated his shoulder; he was lucky to survive. Wherefore art thou Spotted Skinks? On Thursday 28th January, 2016, 45 rare Spotted skinks were released onto the slope above Tui Terrace. 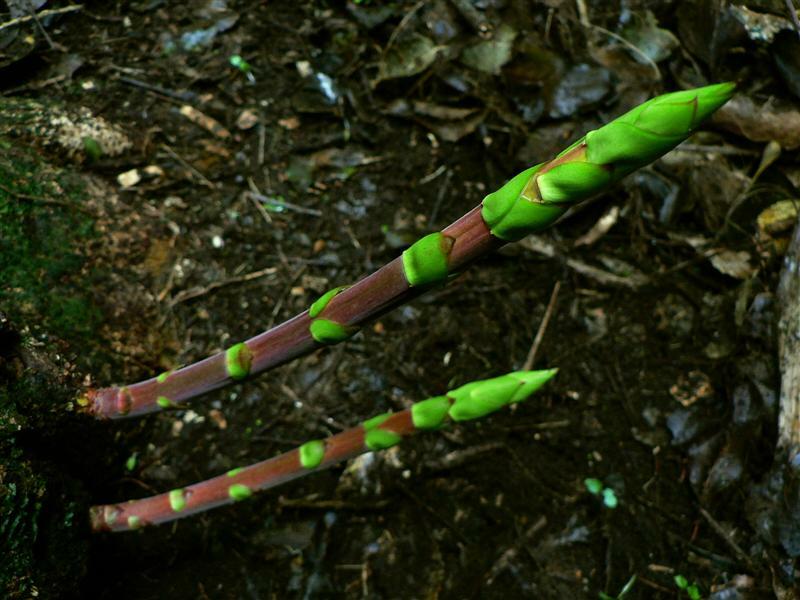 This was the first time in 5 years that a new species was introduced into Zealandia. The Spotted skinks were given a formal welcome both in Māori and English. There was a ceremony attended by representatives of the local iwi, dignitories, ZEALANDIA staff and volunteers, also the public. Speeches about conservation and the importance of protecting this rare species were given by the Mayor, Celia Wade-Brown and Wellington City Councillor, Andy Foster. ZEALANDIA Conservation Manager, Raewyn Empson, explained this was the sanctuary’s 18th species translocation, but it was the first time that lizards had been released here. Due to my own whānau/family commitments, I could only go on November’s fortnightly Monday Walk Group’s Fuchsia Trail/Discovery Centre outing. This made me suddenly realise that group has become my whānau/extended family too. One early morning the Member’s Walk Group met at dawn at the Visitors’ Centre to hear The Dawn Chorus’ along the tracks before a welcome, warm breakfast at Rata Cafe. The birds were just tuning up and the ducks were just quacking quietly. As the sun touched the hilltops, the bush colours sprang into focus and the birds sprang into action. Suddenly birds were leaving their roosts and flying around. It is a truth, universally acknowledged, that to be a kākā monitor you need patience, focus, dedication, a sense of humour and reliable waterproofs.